Dent Shop handles large dent repairs, including creases, the same way we handle smaller dents and hail damage. 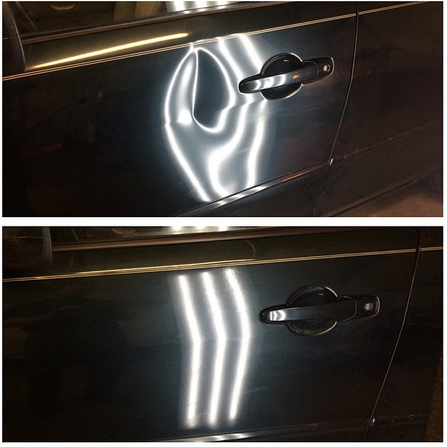 If you have had a minor accident, or your car has borne the brunt of a runaway shopping cart or other collision, our technicians can restore the affected area using Paintless Dent Repair techniques: We sculpt the body back into its original shape through a series of gentle, targeted taps with specialized tools. We inspect the affected area carefully and give you an honest assessment of the probable outcome, depending on the size and nature of the dent and the condition of the factory finish where the damage has occurred. In most cases, the repair will be undetectable. If perfection isn’t possible, we will tell you what to expect before beginning work. 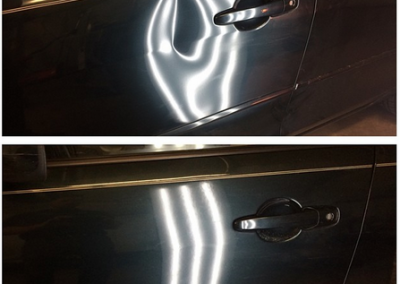 Large dents require more time and patience to avoid overstretching the metal and cracking the paint finish. Your technician will make multiple passes over the dent, beginning with a large soft tip to gently tap out the depression and changing the point tip as he refines the repair. Each tap is carefully scrutinized to ensure that it doesn’t affect your vehicle’s factory finish. Creases are more difficult to undo but our technicians can expertly use a series of calibrated tools and precise actions to gently push and then tap down the damaged area, gradually unbending the crease while keeping the paint from cracking. 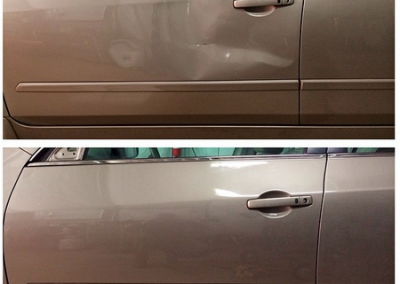 Why Choose Dent Shop for Your Large Dents? The PDR technicians at Dent Shop bring a combined 30+ years of experience to your repair. 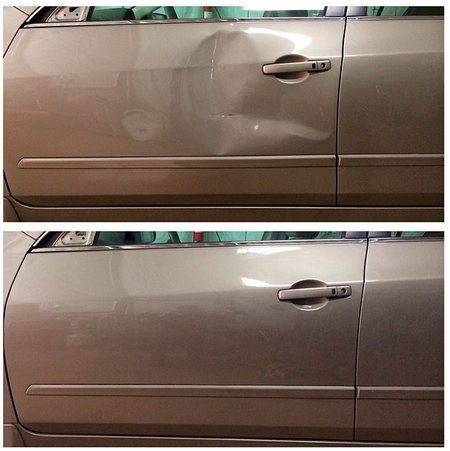 We’ll expertly restore the affected panel(s) and protect your car’s factory finish. 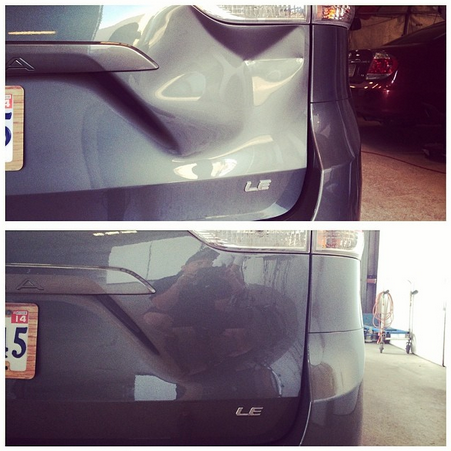 We repair dents and creases that other body shops cannot—or will not—attempt. We will work with your insurance company to get your claim approved. All you need to do is obtain a claim number and bring your car in. 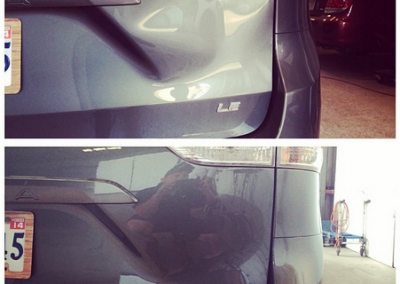 Dent Shop technicians know that the key to successful PDR is patience. We take all the time needed to ensure that your repair is done properly. Our prices are competitive and our turnaround time is quick.